From The American Spectator. April 28, 2012. Well, of course. No sooner do I make mention (see "Pseuds and Artists" in The American Spectator of March, 2012) of what I think the indisputable fact that "all war movies are anti-war now" than someone goes and makes a pro-war movie. Except that it is a very curious sort of pro-war movie, even apart from its curiosity as such. 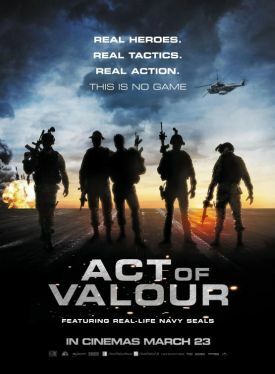 In fact, Act of Valor by Mike, "Mouse," McCoy and Scott Waugh, whose background is as stunt-men and in making sports documentaries, is more like reality TV than the pro-war movies from the days, more than 40 years ago now, when Hollywood still made pro-war movies. Like so many of those, it could be considered a quasi-propaganda film — and many of the left-wing cultural puritans who dominate the media have not hesitated to call it so — but the propaganda is in some degree sanitized by the presence in it of actual Navy SEALs — everybody’s favorite service branch since they got Osama bin Laden. Although these men are the undoubted stars of the show, the official cast-list does not include their names. They are not real actors — there’s an oxymoron for you — like the villains, who are listed and whose acting job in this movie consists mostly of doing the familiar dance of death at the business end of the SEALs’ spectacularly effective weaponry. Actually, the cool weapons are the real stars of the movie, at least up until the eponymous Act of Valor — and even then, the men themselves continue to resemble their weapons in never breaking down or going wrong or doing something they shouldn’t do. The perfect synchronicity of man and machine is, after all, what the movie is going for, but it has produced the unfortunate side effect — at least to those not involved in armed forces recruiting efforts — of making the men almost indistinguishable from the machines. I hasten to add that, insofar as these men, who are not only the heroes of the movie but real-life heroes as well, are expected to do a dangerous but necessary job on which the future and the very existence of our country depend, we should naturally want them to be as efficient and machine-like in doing it as possible, as they doubtless are in real life. But from the much more limited view of the movie audience, for whom awareness of these men and the jobs they do comes only in the form of story-telling, it would be better were it otherwise. Stories in general and movie-stories in particular don’t work very well unless something goes wrong. It’s OK if eventually the wrong thing is put right. In fact, that’s most of what traditional story-telling is about. But the power of the story, particularly stories about men at war, comes from starting with failure and working your way up to success. Maybe that looks more real to us because it’s the pattern we tend to recognize in our own lives, but it is a more important kind of realism than that which Act of Valor has been praised for. Part of the legacy of the superhero and fantasy culture now regnant in Hollywood is that the currency of reality has been devalued. I know I’m singing an old song here, but people are generally supposed by the movie business not to care anymore if it doesn’t look real, or if it only looks like the sort of highly "realistic" video game that Act of Valor too often resembles — that is, if the realism only comes at the cost of excluding the viewer, or reducing him to the figure at the end of the appropriately named remote. The men of the movie, for all that they are heroes in real life, are a little too much made to resemble movie superheroes, with all the superhero’s remoteness. One of the good things about the movie is its presentation of the "code" the men live by. Nowadays, it is an Act of Valor in itself to cite that code without irony or condemnation, as when a man writes a letter to a boy, the words in voiceover, and begins by saying his father told him that "the worst thing about being old was that other men stopped seeing you as dangerous." That’s another way of describing what our ancestors would have called honor — and military men still do — but it is badly out of keeping with the Hollywood-influenced culture of today. He later tells the boy to "put your pain in a box and lock it down" for "no one is stronger than a man who can harness his emotions," thus calling to mind the ancient epics in which warriors were wont to exhort themselves in such fashion. But to hear these words over the popcorn at the multiplex is like seeing Beowulf or Roland suddenly turn up in a Batman movie. Who now dares to suggest that being such a strong man might be a good thing and not a psycho-therapeutically incorrect indulgence in emotional "repression"? One reason talk of honor seems so foreign to people today is that, to those who still care about it, it is bound up with identity. It is "who they are" — which for most of us is now something psychologically rather than socially defined. That’s why, when the advocates of allowing openly gay men to serve in the military appealed to their imagined right to be "who they are," it was (although unrecognized as such) actually an argument against their point of view. To say of Rorke, the movie’s main hero, that "who he is" is a guy who sleeps with women would be ridiculous. A soldier and a man of honor only becomes who he is when he submerges self in the group identity provided by the honor culture. That identity seems merely inauthentic to many people today — partly because they have been schooled by the movies to look within, and in particular to their sexual feelings, for the only identity that matters. 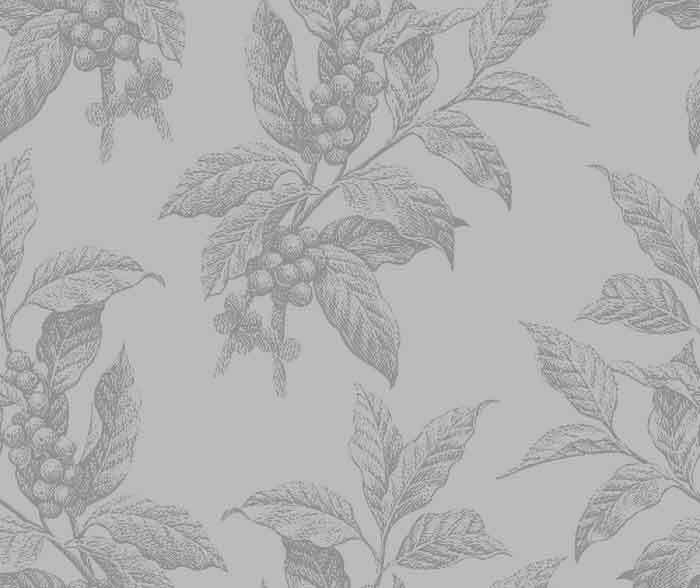 To those with the more traditional outlook there is always something trivial about the dramas of inwardly-defined identity. If you start from the assumption that your emotions must be locked in a box for the duration, then you’re not going to have a lot of time for those who endlessly examine and prod theirs in the hope of finding some meaning there — even when these people might seem to the rest of us tragic figures, like the eponymous hero/heroine, played by Glenn Close, of Rodrigo García’s Albert Nobbs. On one level — the level intended by its authors — this is a movie about a woman who dresses as a man in Victorian-era Dublin and the routine cruelties visited by society on those who choose, for whatever reason, an unorthodox sexual identity. But from society’s point of view, it’s about the price that society feels it can afford to put on people’s identity formation — a price that is always reckoned in repressed feelings. There’s a good line in the movie when a doctor, played by Brendan Gleeson, encounters Miss Close’s Albert at a costume ball and asks why she/he is not in fancy dress. "I’m a waiter," she replies. "And I’m a doctor," he says. "We are both disguised as ourselves." The irony is of course that they are disguised both as themselves and as someone that a more hidden and (therefore?) authentic self wishes to shed. The movies have always been fascinated by the idea of self-defined identity, often in the form of stories about amnesia in which someone is forced by injury or illness to go in search of a lost identity. That scenario back in the day’s of Hollywood’s Golden Age, could easily be seen as a more morally acceptable metaphor for a quest like Albert’s in search of "true" sexual identity, but it is also a reminder of the extent to which, up until recently, identity was for everybody socially defined, as it still is for the Navy SEALs and others for whom society can’t afford a more emotionally indulgent identity. 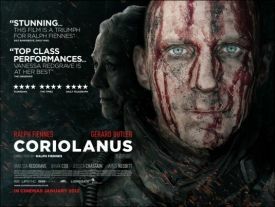 Ralph Fiennes’s excellent movie of Shakespeare’s Coriolanus offers another kind of reminder — of the gulf that separates us from the world that people only a couple of generations ago still shared with Shakespeare and his contemporaries. When Mr Fiennes’s Coriolanus, goaded by the Tribunes (and, in his updating, by the media) into standing on his Roman honor against the Roman people and throwing in his lot with Rome’s enemies, he becomes in the words of Lartius "a kind of nothing." In believing that "there is a world elsewhere," he has made the very modern mistake of thinking his private identity somehow detachable from the social one he owes to a Rome that he despises, and he pays the price of the tragic hero for it. Thus the pride of the man of honor in being apart — one of "damn few" in SEALs parlance — from the society of those weaker or less estimable than himself may make him forget what he owes to that society in the first place. And, having long since forgotten this ourselves, we may find that our only tragedy is that we can no longer understand his.